The actress offers a glimpse of her favorite scene in Paul Thomas Anderson's fashion-world drama and reveals why she "believes in chaos." 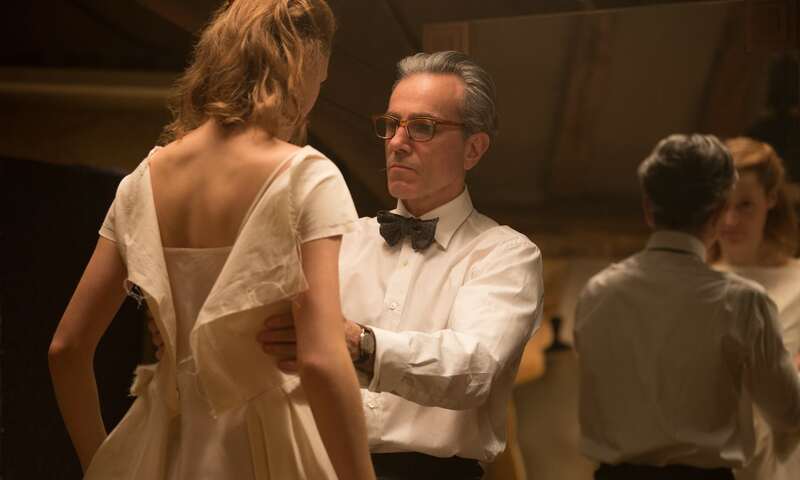 Daniel Day-Lewis is unsurprisingly great in “Phantom Thread,” the thrice-awarded thespian’s supposed swan song, but the movie doesn’t belong to him. That honor goes to the remarkable Vicky Krieps, who’s far from a newcomer but essentially unknown on this side of the Atlantic — outside of “A Most Wanted Man” and “Hanna,” most of the Luxembourgian thespian’s work has been in Germany. One suspects that’s about to change. Day-Lewis plays a mid-century fashion designer in Paul Thomas Anderson’s latest, which reunites him with his “There Will Be Blood” star a decade later. Brilliant and neurotic, the esteemed Reynolds Woodcock can’t stand deviations from his routine and, according to his old so-and-so of a sister (Lesley Manville), is disoriented for the rest of the day whenever breakfast doesn’t go exactly as planned — which makes it a minor disaster when Alma (Krieps), whom he meets in a seaside inn, scrapes her toast even more loudly than she pours her tea. Opposites attract, and so do people who may not belong together despite intense mutual attraction. Reynolds and Alma at first appear to be two sides of the same coin: he an exacting artist, she a swaggering muse. “For my hungry boy,” the waitress writes on a note upon meeting him. “My name is Alma.” He asks her to dinner; she says yes. Far from a pushover, Alma proves to be a creative force unto herself. She’s happy to resist Reynolds’ many attempts to put up a wall between her and his work, carving out a space for herself as their push-pull power dynamic becomes ever more combative and passionate. 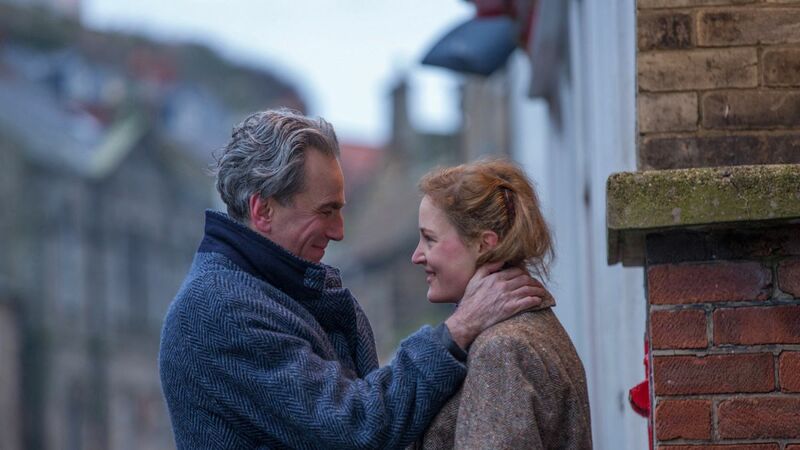 “Phantom Thread” isn’t quite the movie it initially appears to be, and each reveal of what Anderson is really up to is paired with a moment of surprise from Krieps; like Alma, she’s so compelling a presence as to eventually become the main focus of attention. Save for a few outbursts of anger, most of them arising from his work being interrupted, Reynolds finds Day-Lewis at his most subdued in many moons — allowing room for Krieps’ clever playfulness to come to the fore. It’s a stellar performance sure to be recalled as the moment she announced herself to the world. During a recent discussion, the actress elaborated on her revelation that she originally thought she was auditioning for a student film, revealed her approach to working alongside Day-Lewis, and alluded to the ghost haunting one of her favorite scenes in “Phantom Thread” — which didn’t make it into the final film. The same is true of her co-star, arguably the most revered actor on the planet — and, with three Oscars to his name and a well-known penchant for immersing himself in his characters both on and off set, one of the most intimidating. Krieps, quietly eloquent and with a calm air about her, had a strategy for acting opposite Day-Lewis, who far all intents and purposes was Reynolds Woodcock during production. There’s a similar feeling throughout “Phantom Thread,” albeit with one key difference: You can see the ghost as she haunts you, and you don’t want her to leave.